Is your business planning something special for February 14? If not, you may be missing out — this year, consumers will spend a record $19.6 billion on Valentine’s Day gifts. If you’re still looking for a way to tap into those passion purchases and sell more this Valentine’s Day (and who isn’t), shoppable landing pages may be just the thing for you. Selling directly on a landing page is an easy way to sell online, reach new customers, and track all your marketing efforts in one place. If you have an online store already, this is a great way to streamline your customer’s buying experience, test out products, and close more sales. If you’re totally new to eCommerce, this is an easy way to dip your toes in the water. Mailchimp makes it easy to create free landing pages that provide a consistent brand experience across all your marketing touchpoints (email, social, etc.). Adding Square payments to those pages gives your customers a seamless and secure way to buy. Here’s how to use Mailchimp landing pages for a festive Valentine’s Day campaign. You may even give Cupid a run for his money. Celebrate the season of love with easily customized templates from Mailchimp. 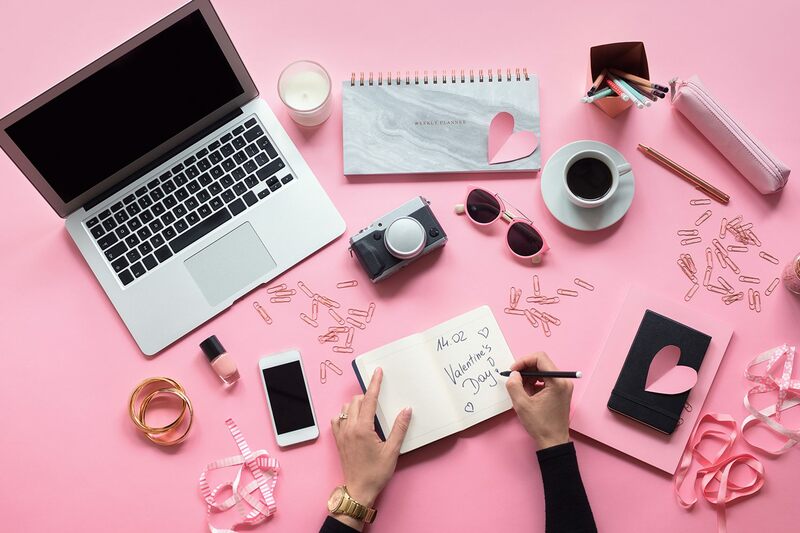 With its drag-and-drop page builder, you can create your own Valentine’s Day–themed page for a personalized take that corresponds with your business’s aesthetic. A seamless visual experience is key to a strong omnichannel experience for online shoppers, and it ensures your brand looks more professional online and off. Learn how to design a great page, with help from Mailchimp. Curate your customers’ Valentine’s Day shopping experience by selecting your favorite best-sellers. You may highlight a classic like your custom-made jewelry or artisanal chocolates, or showcase a more unique product offering, like a private wine-tasting experience. You might also consider how the item looks displayed on the page, and how each product can help you reach business and sales goals for the year. Photographer Kortni Ellett plans to stick closer to home in 2019, so her highlighted offer includes a photo shoot in her studio. “My main goal for this year was to cut down on the amount of traveling I do every year, and my page allows me to bring in a lot of local customers,” she says. Make the purchase process seamless for customers by answering any questions they may have about products up front. Offer in-depth information with a frequently asked questions (FAQ) list. It saves you time and creates a stronger customer experience. Kortni’s FAQ page, for example, was created based on common inquiries she gets from customers. “I chose the questions based off of what clients potentially would come back and ask me,” she says. Her page includes details on price, what’s included in the photography session, and even the best time to book. “I wanted to be able to get as much information out there to cut back on the back-and-forth of questions that clients would have prior to booking,” says Kortni. How will customers know that you have the perfect gift for them this Valentine’s Day? You just have to tell them. You can drive more traffic to your page with an email marketing campaign, on your social channels, and in person with customers. If you have more questions about Valentine’s Day marketing, Mailchimp experts will answer your questions live on Thursday, February 7. You can submit your questions on the Square Seller Community ahead of time.